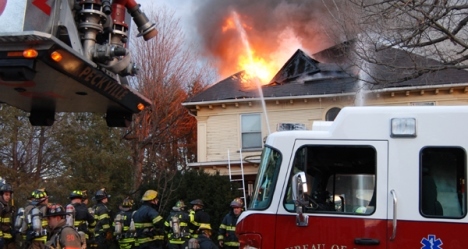 412-473-1000 The Department of Emergency Services provides training, investigation services and emergency management response to disasters, catastrophes and municipal needs. 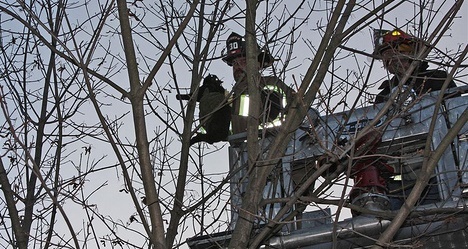 This is accomplished with the 9-1-1 emergency response telecommunications network, emergency response teams, fire investigation units, fire code compliance and the fire training academy. 724-548-5105 Armstrong County 9-1-1 works in conjunction with the Armstrong County Department of Public Safety and the Sheriff's Office along with 18 police departments, 34 fire companies and 13 ambulance services to provide safety and assistance to Armstrong County citizens. The center also assists other county agencies with after-hours emergencies. All 22 of Armstrong County's dispatchers are trained in Emergency Medical Dispatch, as well as training related to the Pennsylvania Emergency Management Agency (PEMA) and the Pennsylvania State Police. All dispatchers are certified in CPR/AED and many have certifications in other emergency service training. 724-775-1700 Beaver County is located in southwest Pennsylvania northwest of the city of Pittsburgh. The County is bordered on the west by the States of Ohio and the panhandle of West Virginia; the south by Washington County; the east by Allegheny and Butler counties; and the north by Lawrence County. The predominate feature of the County is the Ohio River which enters from the southeast and flows to the center of the county before turning southwest and exiting the state to form the boundary between Ohio and West Virginia. The remainder of the County is characterized by gently rolling foothills and valleys of the Appalachian Mountain Range. Beaver County is comprised of 2 incorporated, third class cities (Aliquippa and Beaver Falls), and 52 boroughs and townships. 610-655-4911 Berks County is an urban area of 373,638 persons (2000 Census), situated in southeastern Pennsylvania. The county seat, which is the city of Reading, is 56 miles northwest of Philadelphia and the heart of the Delaware Valley region, which is one of the leading industrial and trade complexes in the nation. 570-265-9101 The Bradford County 911 Center is staffed with one Director, one Deputy Director, one QA Supervisor, eleven full-time certified dispatchers and three part-time certified dispatchers. All dispatchers hold National certification in Emergency Medical Dispatch and are either certified Emergency Medical Technicians or Firefighter I. The 911 Center handles approximately 125 calls for service per day or 45,000 calls per year. The Bradford County 911 center answers call from fourteen boroughs, and thirty seven townships. 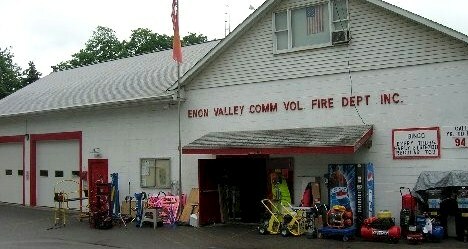 We dispatch for 25 volunteer fire departments, 10 Local Police agencies, 3 Advanced Life Support EMS agencies, 7 Basic Life Support Ambulance services, the Bradford County Sheriffs Department, Bradford County Probation, Bradford County Coroner, Bradford County EMA, Red Cross, Children & Youth Services, and Area Agency on Aging. 215-328-5150 From the communications center's inception Bucks County has continually met the needs of the quickly growing constituency and now serves our county as a fully consolidated Enhanced 9-1-1 emergency communications system. With a trained dispatch staff of 125 (comprised of dispatchers, supervisors and managers), we currently provide emergency communications services for over 130 agencies (EMS, Fire and Police). Bucks County Department of Emergency Communications continually explores and researches new and improved ways to serve our customers, the citizens and emergency responders of Bucks County. 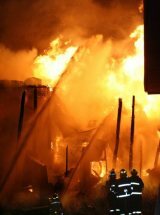 570-325-9123 Carbon County Communications Center dispatches 21 Fire Districts, 13 Police Departments and 14 EMS Stations. 814-355-6800 Centre County 9·1·1 is a consolidated communications center. 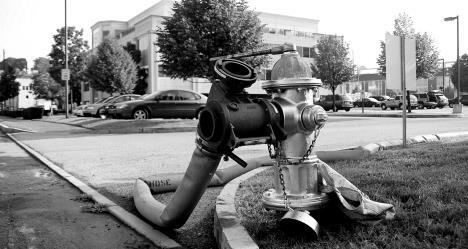 That means it accepts 9·1·1 calls and dispatches the appropriate emergency services. We provide Enhanced 9·1·1 to the residents of the county who have wireline phones in their homes. 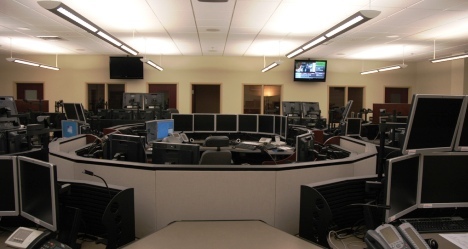 The Communications Center is staffed 24 hours a day, with a minimum of one (1) Shift Supervisor and three (3) Telecommunicators on duty at any time. High activity periods will see one (1) Supervisor and four ( 4) or five (5) Telecommunicators on duty. The center is equipped to allow as many as seven (7) Telecommunicators on duty for a major emergency. 610-344-5000 The 9-1-1 Communication Center is staffed 24 hours a day, seven days a week to provide the citizens of Chester County with emergency call receipt, interim assistance, response coordination and responder dispatch. The Communications Center staff handles over 900 emergency calls each day. The Center has a translation service for over 200 languages and is equipped to expeditiously handle calls from hearing impaired citizens. 814-226-7020 Clarion County 9-1-1 was the very first 9-1-1 Center to open in Pennsylvania. 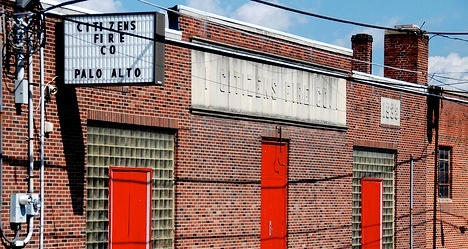 The Center has been in existence since April 17, 1973. Clarion County 9-1-1 currently employs 5 full-time dispatchers and 5 part-time dispatchers. 9-1-1 operates 24 x 7, 365 days per year. Clarion County 9-1-1 shifts are 12 hours. Training is very extensive and each dispatcher must complete 790 hours of training to meet County and State certification requirements. 814-765-5357 Clearfield County provides 911 services to the County of Clearfield, Pennsylvania. The county encompasses approximately 1,154 square miles and has a population of over 83,000. Clearfield County 911 answers and dispatches an average of 60,000 emergency and non-emergency incidents per year. There is a staff of 25 dispatchers with an average of 5 on duty at all times. An administrative staff of 6 people provide support services such as quality assurance, training, radio maintenance, and database administration. 570-893-4144 The PSAP is a full service 9-1-1 communications center taking 9-1-1 emergency calls and conducting dispatching for all fire, EMS and municipal police departments within Clinton County. The PSAP operates a state of the art telephone system for the handling of 9-1-1 emergency calls. 717-238-9676 Cumberland County has two E-9-1-1 Public Safety Answering Points. One is a fixed site in Carlisle and one is a Mobile Communications Unit that serves as a backup. 717-558-6800 Dauphin county operates an Enhanced 911 System with dual PSAPs utilizing the County Communications Center and the City of Harrisburg to function as back up for each other. 610-565-8700 Delaware County's enhanced 911 system annually handles more than a million requests for police, fire and emergency ambulance services. 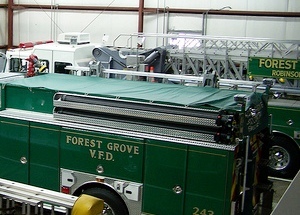 The center has the responsibility of dispatching the majority of police, fire and ambulance service within the County. 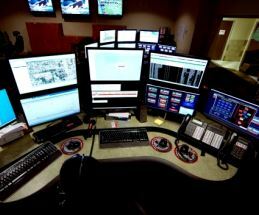 The required equipment and training program for all telecommunicators has resulted in Delaware County being named as one of the finest 911 systems in the nation. 814-776-5314 Elk 911 office is responsible for answering all emergency calls in Elk and Cameron County and dispatching emergency units. Each dispatcher is certified to provide instructions to the caller until emergency services arrive. 814-451-7920 The mission of the department of public safety is to provide, maintain, improve and upgrade 911 emergency call taking and dispatch services in Erie County by utilizing the most modern equipment and technology available. 724-627-5387 Greene County is located in the southwestern corner of Pennsylvania and is considered "the Cornerstone of the Keystone State." Greene County is 89.2 percent rural with a population of about 40,000+ residents and a land area of 578 square miles. 814-849-1617 The Jefferson County Department of Emergency Services is the 24 hour Public Safety Answering Point (PSAP) for 9-1-1 calls within Jefferson County, Pennsylvania. In addition, the department is also the headquarters for Emergency Management, Local Emergency Planning Commission, Homeland Security and Haz-Mat response within the county. 570-342-9111 It is the mission of the Lackawanna County Emergency Communication Center to quickly, accurately and effectively dispatch the appropriate police, fire, rescue and emergency medical services to the scene of a reported emergency situation. Live Incident CAD Lancaster County-Wide Communications provides 9-1-1 services to the County of Lancaster, Pennsylvania. The county encompasses approximately 984 square miles and has a population of over 485,000. LCWC answers an average of 580 9-1-1 calls per day and dispatches an average of 1,090 emergency and non-emergency incidents per day. There is a staff of 75 dispatchers with an average of 15 on duty at all times. An administrative staff of 16 people provide support services such as quality assurance, training, radio maintenance, and database administration. 570-826-3059 Luzerne County is 891 square miles and located in the heart of Northeast Pennsylvania. It has a population of approximately 317,000 people. Luzerne County is unique in its accessibility with interstates 80, 81, 84, 380 and 476, the Pennsylvania turnpike northeast extension, crossing through the region. Coupled with its 2-hour accessibility to metropolitan NewYork City and Philadelphia, the County's 911 operations must address both urban and rural aspects of public safety and dispatching. Luzerne County 911 processes over 1200 calls every day. Calls from any one of 76 municipalities are processed through a single PSAP (Public Safety Answering Point) and the 911 center is responsible for dispatching Police, Fire and EMS agencies for the entire County. There are currently over 240 agencies. 570-433-4461 The Center provides a state-of-the-art Communications System for Lycoming and Sullivan Counties, dispatching 44 Fire Departments, 26 Ambulance Service, 4 Paramedic Services, 17 Quick Responder Units, 13 Police Departments and 52 EMA Coordinators. There are four (4) radio consoles that dispatch from seven transmitter locations. Within the Communication Center there are three main dispatch consoles, one supervisory dispatch console and one telephone answering position. 814-887-5070 The McKean County 911 Center is responsible for the administration, operation, and long-range planning of the 911 Emergency system which provides police, fire, and EMS dispatch for McKean County. This center coordinates activities between the 911 Center and the EMA Emergency Operations Center when activated during county emergencies. Telecommunicators operate the communication system around the clock receiving and dispatching emergency calls for public safety agencies located in the county. 724-662-6110 Mercer County is divided into a combination of 48 cities, boroughs and townships. 570-992-4500 The Monroe County Control Center provides 9-1-1 Public Safety Emergency Dispatch Services for all of Monroe County, Pennsylvania and for Lehman Township in Pike County, Pennsylvania. 610-539-8770 The Department of Public Safety’s Communications Center the public safety answering point for police, fire, emergency medical and emergency management services within Montgomery County. 610-746-3194 This area in the Lehigh Valley has been thriving and growing for over 250 years, and is now home to a diverse population of over 280,000 citizens. 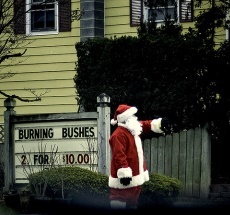 Includes the cities of Bethlehem and Easton. 570-988-4539 The Department of Public Safety holds it's headquarters in Sunbury Pennsylvania, Northumberland County, which is located in the central-eastern section of the state. The department serves a population of over 70,000; that includes 17 townships, 7 boroughs, and 2 cities. The Northumberland County 911 center provides emergency dispatch for the following; 52 fire stations (8 of them housing a rescue), 19 fire police associations, 9 Basic Life Support Stations, 9 Quick Response Squads and 7 Advanced Life Support Units. In addition, Northumberland County Department of Public Safety provides services to the Sheriffs Department, County Coroner Office, District Judges, and 14 law enforcement agencies. 717-582-4311 Perry County provides Basic 9-1-1 emergency communication services to the citizens of Perry County, Pennsylvania. The County’s 9-1-1 Communication Center is co-located with the County Emergency Management Agency in the basement of the Perry County Courthouse in New Bloomfield. Both the 9-1-1 Communications Center and Emergency Management Agency are managed and operated by the County Emergency Management Coordinator. 570-296-1911 The Pike County 911 Center dispatches for fifteen volunteer fire departments, ten volunteer ambulance corps, two volunteer quick response services and four municipal police departments in addition to receiving the 911 calls for the geographic areas served by the Pennsylvania State Police. The Center receives approximately 1500 911 calls per month in addition to at least three times that number on our non-emergency telephone lines. 570-724-4666 Tioga County 911 is a dispatch center covering Tioga and Potter Counties in North Central Pennsylvania. We dispatch 26 fire departments, 17 ambulance associations, 15 municipal law enforcement agencies and various county agencies. 570-523-1113 Union County 9-1-1 provides 9-1-1 and emergency communications service to Union County and a portion of Northumberland County, north of Point Township. 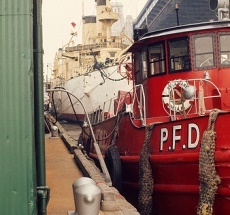 The Communications Center’s main responsibility is to dispatch appropriate police, fire, ambulance, rescue, emergency management, local government or support services with the least possible delay after a request is received or a requirement is known to exist and provide appropriate telecommunications services to all field users. 724-229-4600 Washington County 9-1-1 serves 200,000 County residents. 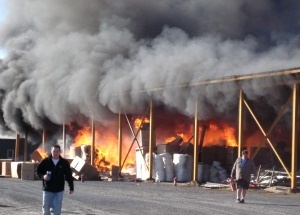 We are responsible for dispatching fifty three fire departments, twelve emergency medical services, forty four police departments, and various county agencies. On the average, the 9-1-1 center receives approximately 1,000 phone calls and dispatches over 400 emergencies daily. The 9-1-1 center has one supervisor position, two call taking positions, and seven dispatching positions. The center has the capability of communicating on fifteen different frequencies, with full cross-patch and telephone-patch capabilities. 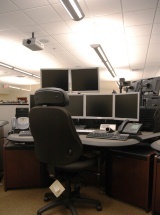 The 9-1-1 Center also provides 24 hour monitoring of several Emergency Management systems. 570-253-3109 Wayne County is located in the upper northeast corner of Pennsylvania. It is bordered in New York State by the Counties of Broome, Delaware and Sullivan. Wayne County shares borders with Pike County, Susquehanna County, Lackawanna County and Monroe County. Wayne County is a sixth (6th) class county comprised of twenty-two (22) townships and six (6) boroughs. The land area served by the Wayne County 911 Communication Center is 985 square miles with the population being 88% rural. The staff of Wayne County 911 consists of nine (9) full-time call-taker/dispatchers, four (4) part-time call-taker/dispatchers, one (1) Director, one (1) supervisor, one (1) 911 Coordinator, one (1) 911 Data Manager. Along with answering the call for emergencies the Wayne County 911/Communication Center handles a number of other calls for assistance. 570-296-1911 The Westmoreland County Department of Public Safety has implemented a new 800 MHz County-Wide Trunked Radio System to be used for 911 radio dispatching and by police, fire, ems, and other public safety and public works departments in the County. Westmoreland 9-1-1 provides direct fire dispatch for all municipalities within the county borders with the exception of the City of Monessen and the Borough of Latrobe. 717-854-2955 The York County Department of Emergency Services, 911 Communications handles over 1,100 calls for assistance each day. That’s over 400,000 calls annually! The operations staff includes: 3 Lead Shift Supervisors, 6 Shift Supervisors, the Training Department, and 71 full-time and 10 part-time Communications Specialists. Together, they provide centralized communications for 21 Police Departments, 7 Paramedic Units, 33 ambulance companies, 61 fire departments, various other local and state agencies, and over 410,000 citizens.